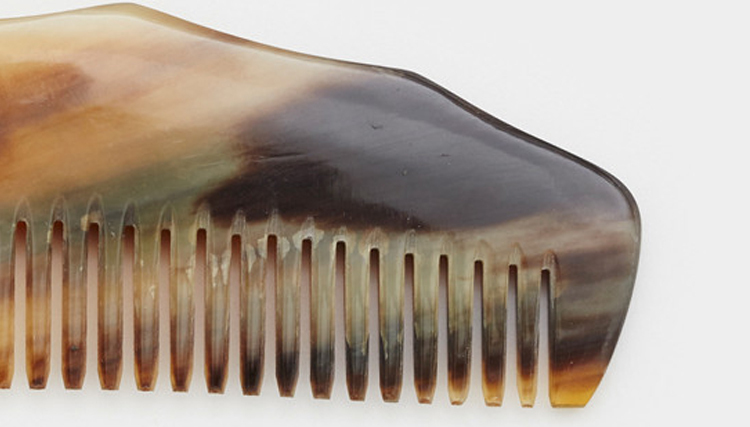 This comb is made from an actual animal's horn, and will most certainly make you feel like a caveman, because cavemen care a lot about what their hair looks like and they most likely would have used an animal's horn to fashion a comb. 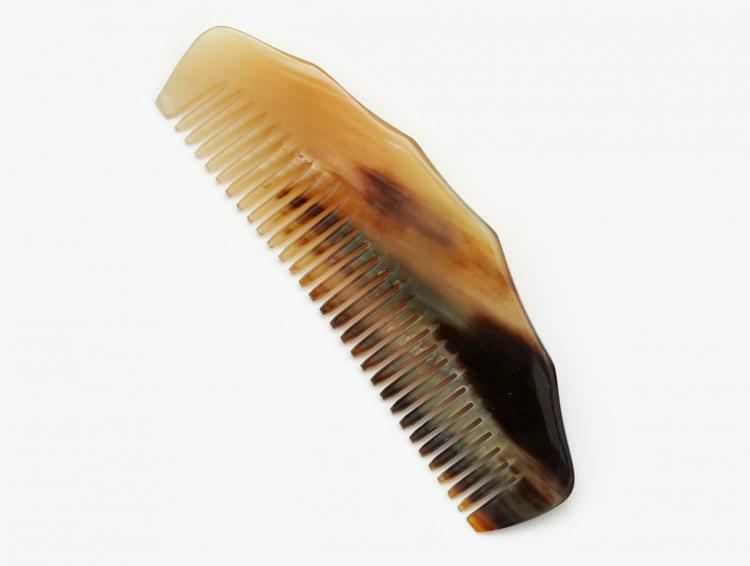 Perfect to use along-side your Horn Mug, the horn comb is a bit classier than your run-of-the-mill cheap plastic combs that most people might have. 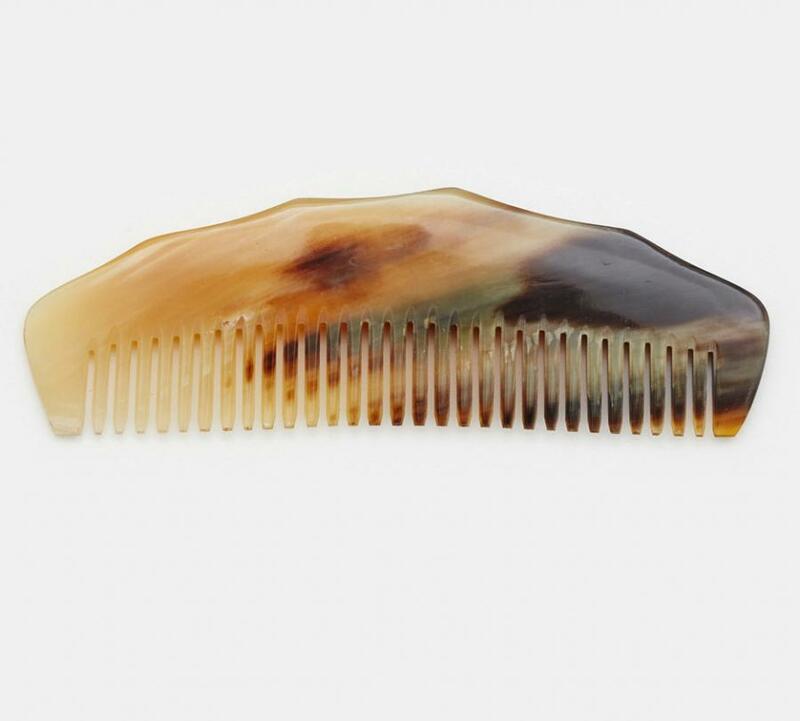 Not only is the horn comb a great conversation starter with it's extravagant colors, but the comb actually works better as it's naturally smooth and won't spark your hair on fire with static like a normal comb would. 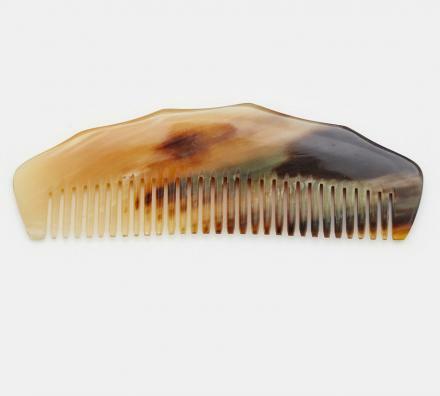 The horn comb is wide toothed to it works great for your hair or beard, is made from actual animal horn, each comb will have a unique look depending on the color of the actual horn it comes from, and each comb will measure 4.75 inches long.